It’s that time of the year…when the weather begins changing and the nights get cooler here in North Louisiana. 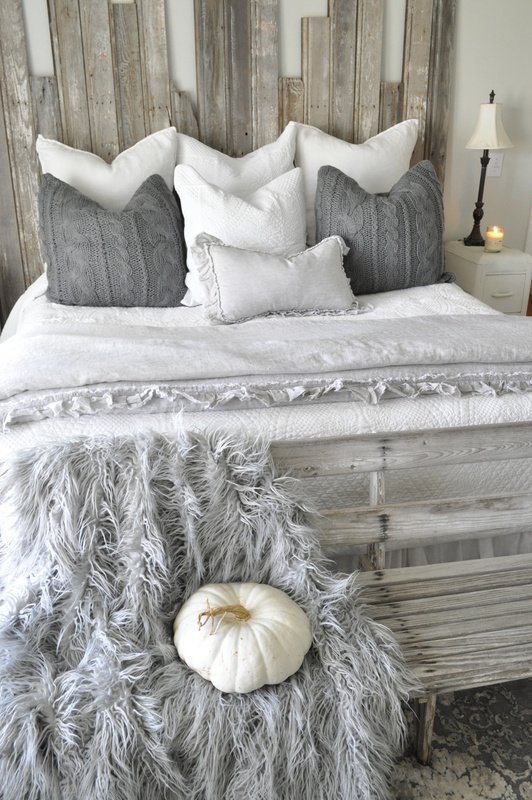 So, October is the perfect time to cozy up our home. 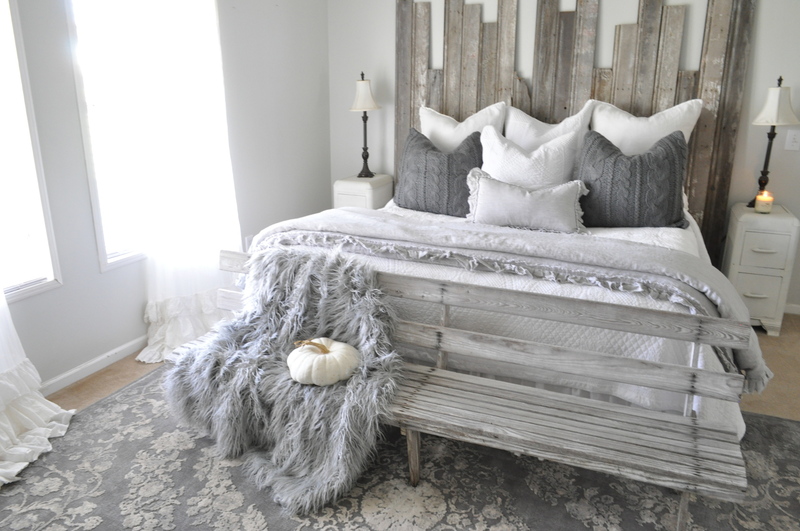 I’m excited to share our farmhouse bedroom refresh with you today! 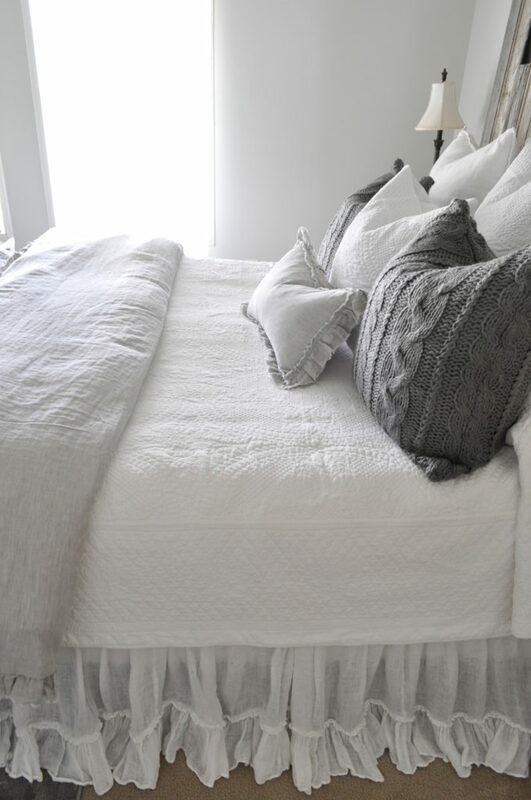 Thanks to Pom Pom at Home, we created a cozy, luxurious bedroom all ready for the colder months! I’ve listed all the sources at the bottom of the post. 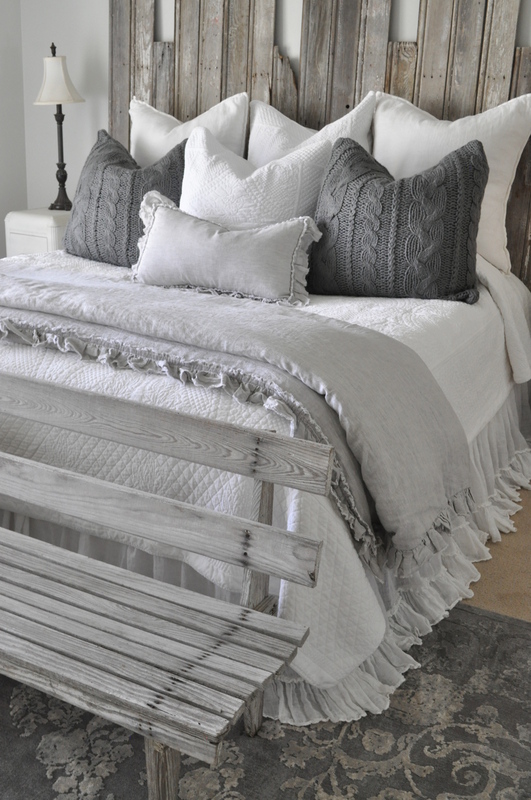 I chose pretty whites and grays to coordinate with our master bedroom colors. Our walls are Silver Drop by BEHR. Our headboard is constructed of reclaimed tongue and groove boards…built by my husband. 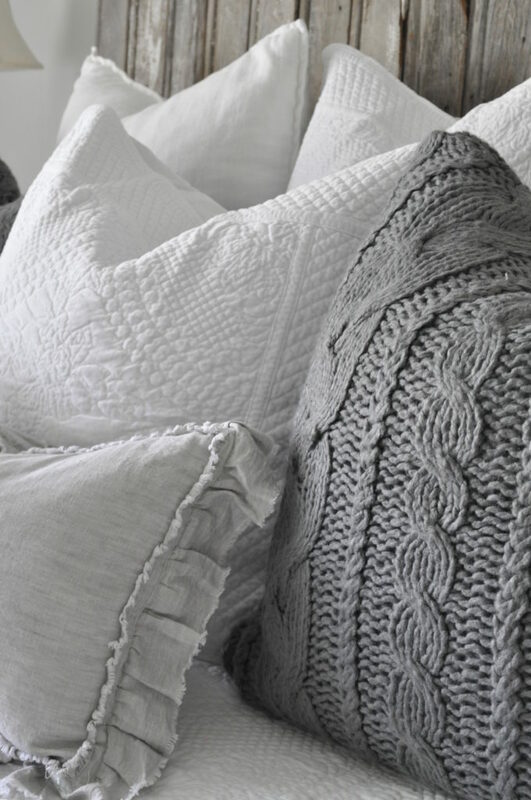 Just look at these gorgeous pillows! Doesn’t it make you want to curl up with a good book? Pom Pom at Home has a beautiful selection of duvets and coverlets. I love to add layers during the colder months. 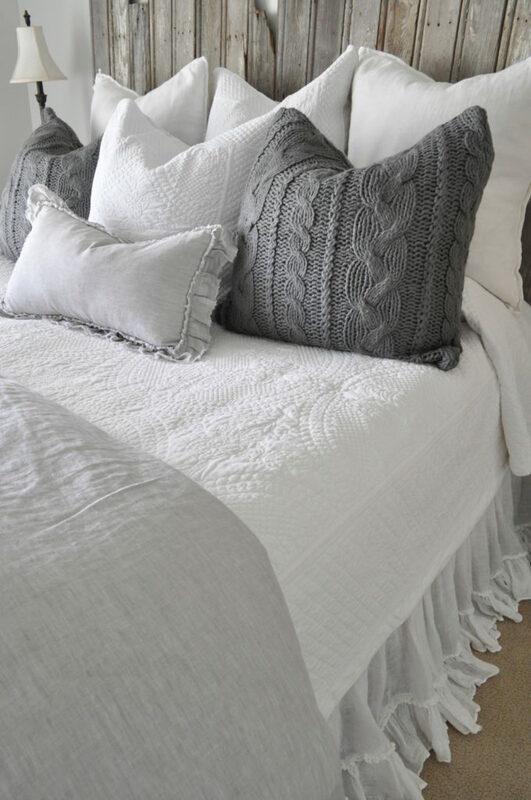 One of my favorite additions are the large slate sweater pillows…they look great with the white velvet. One thing I love about our bedroom is the mix of rustic with elegance…and the bedding from Pom Pom at Home is the perfect contrast to our rustic headboard. 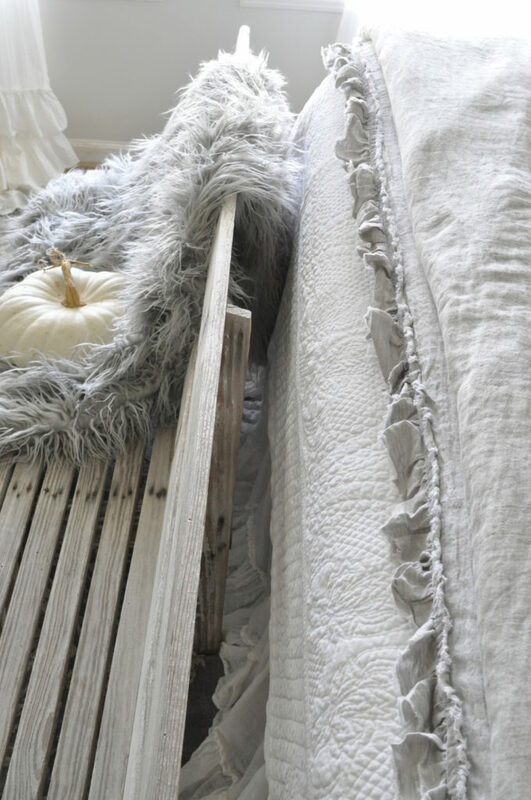 This coverlet is the softest stone washed cotton velvet. I had to throw in a white pumpkin just for Fall vibes. 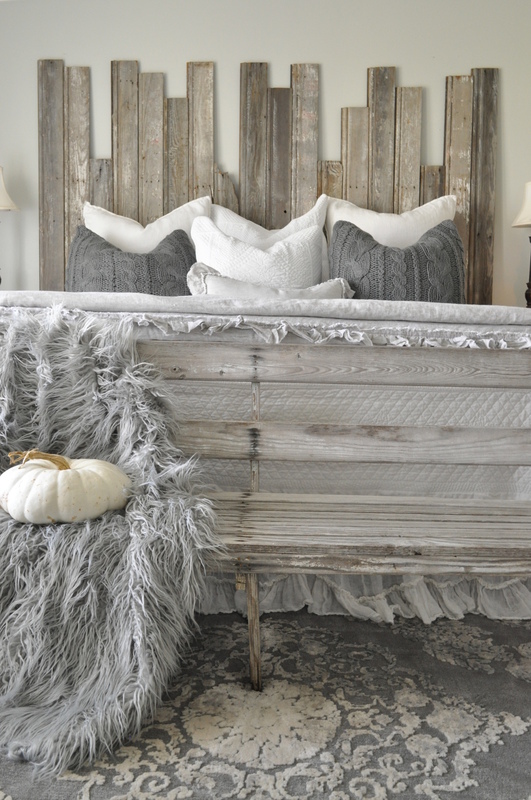 The wooden bench at the end of the bed was found at an antique shop…and it plays well with the headboard. sources below…just click on each link to view each product. 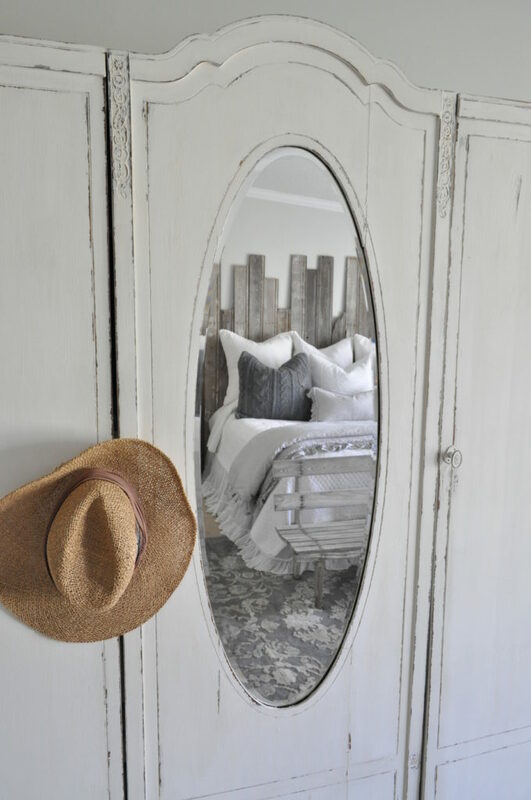 Let me know if you have any questions about our Farmhouse Bedroom Refresh… thanks so much for visiting my blog here today! Can i ask where you got your headboard? I’m dying to know where you got your bed skirt?